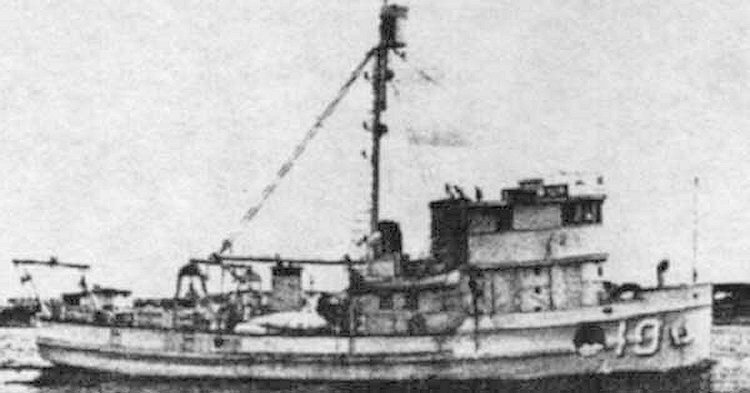 Pipit Class Coastal Minesweeper: Laid down in 1935 as New Ambassador by the Martinac Shipbuilding Co., Tacoma, WA; Acquired by the Navy, 30 October 1940; Placed in service as USS Longspur (AMc 10), 11 April 1941; Placed out of service, 12 August 1944; Struck from the Navy Register 16 September 1944; Transferred to the War Shipping Administration for return to her owner, 12 July 1945. Fate unknown. Specifications: Displacement 200 t.; Length 81' 2"; Beam 21'; Draft 4' 8"; Speed 10 kts; Complement unknown; Armament two .30 cal. machine guns; Propulsion diesel, one shaft.